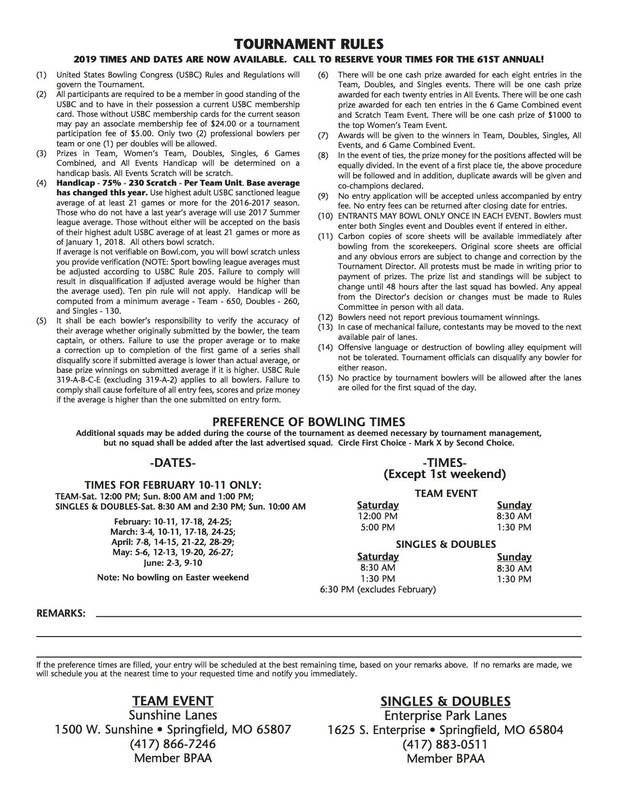 Each doubles team will bowl 3 league style games. Zone round will be held at The Strike Zone in Aurora, MO Saturday, March 30 at 11:00 and 2:00 and Saturday, April 6 at 11:00 and 2:00. 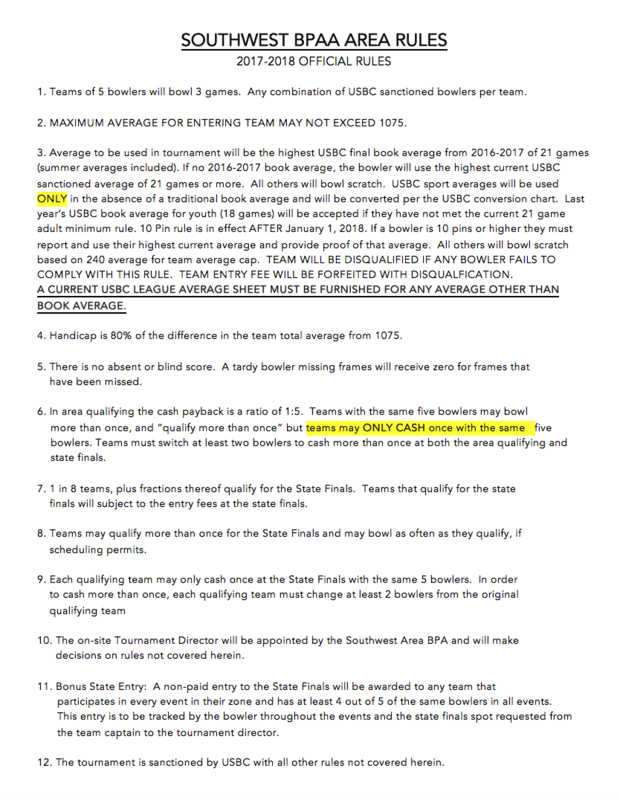 State Finals will be held at Century Lanes in Nixa, MO May 11-12 & 18-19.